Job vacancies at Culture Tourism and Antiquities Department for the session 2017-2017. All the eligible fresh graduates must apply. Candidates must fall on the eligibility criteria. The eligibility criteria along with important details are mentioned below. The preferred way of applying is through online means. 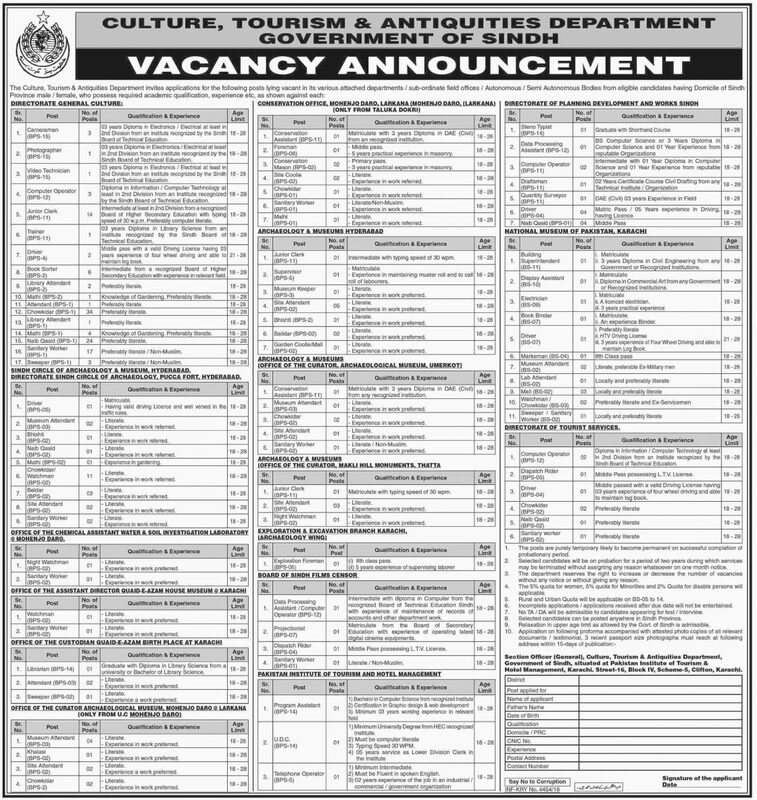 Jobs vacancies in Sindh 2017 by Culture Tourism and Antiquities Department. The age criteria for the vacant posts will be given, there will be relaxation in the age criteria.Candidates are required to submit their application forms and add relevant details that are accurate and genuine. Vacancies : Find out about the jobs vacancies and their respective eligibility criteria. Test and interview alerts as so formal invitation will be given.